Lots is happening at Teeple Optometry! Excitement is building as we begin a significant renovation project in early April! Teeple Optometry was established in the wonderful community of Arkona by Dr. Mark Teeple in 1979. As the practice grew, Dr. Teeple designed and built an office in 1985 were we have remained. The practice of optometry has progressed dramatically since that time but our goal of delivering excellent eyecare to our community has not. Many new technologies have been integrated into our office over the years as the practice has grown. Now, we feel, is an excellent time to make a more significant change to the building where we work to help provide the best in patient care and experience. Beginning April 9, Wellington Builders of Forest, utilizing local trades, will begin a major renovation project. The exciting new design, by Paula Burns from Design Matrix, will create a more welcoming reception area, a barrier free entrance and a beautiful new frame gallery. 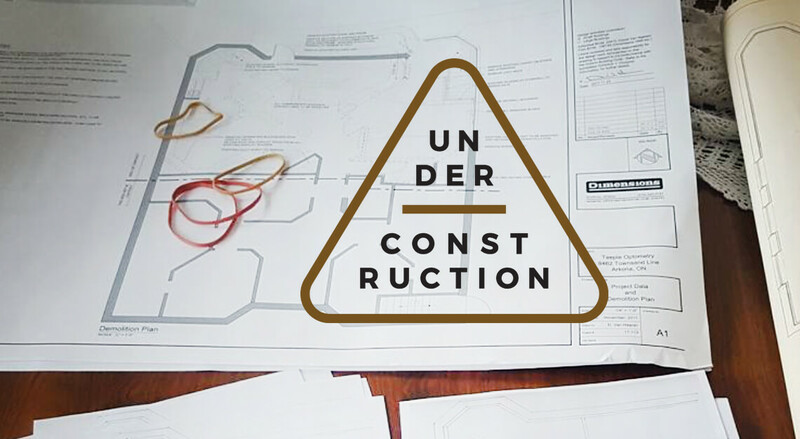 We are working hard to minimize the disruption in our service during the renovation. The office will be closed from April 9 to April 20, however, we will be answering the phone and attempting to accommodate true emergencies. From April 23 to the end of May, we will provide limited services. Expect to visit a construction zone if you visit during this time! Because of the disruption to our frame gallery, for patients seen during that time, we will be offering a discount on new eyewear that can be used once the new gallery is completed. We appreciate your patience during this time. Please visit our Facebook page or our Instagram feed for periodic updates on the progress. Do call our office if you have any questions. We’re excited for the changes and hope you are too!